When laying wooden floors it is essential for the floor to be flat. 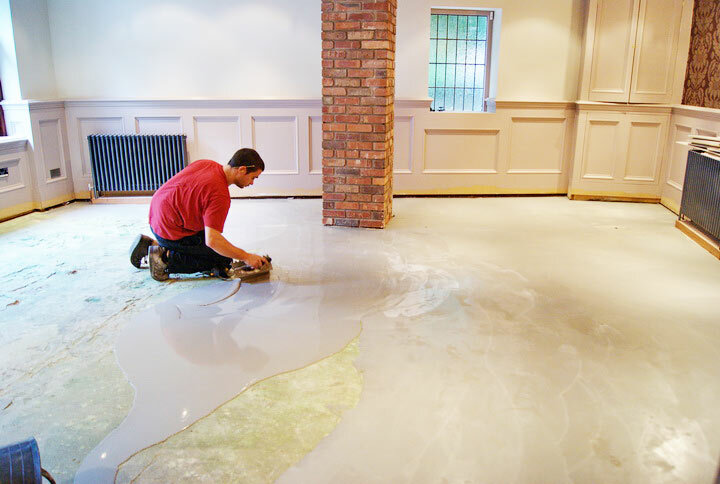 If the sub floor is uneven concrete, asphalt or tiles it is leveled with a self leveling screed. Dampness is not good for wood flooring, concrete floors must be tested for moisture content. 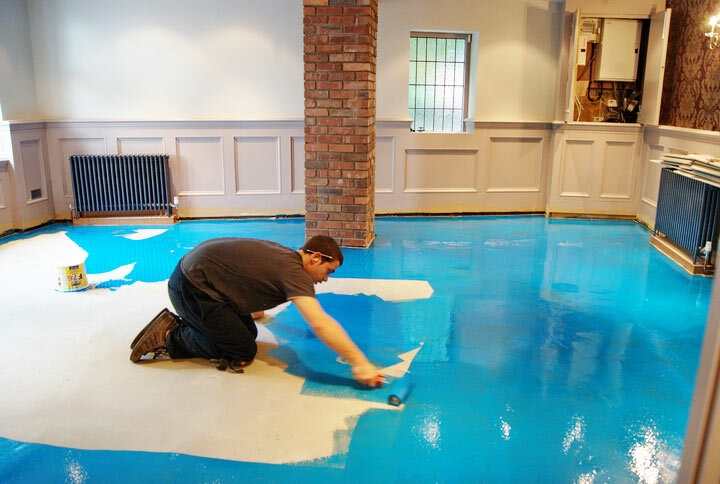 If the floor has to much moisture a liquid DPM (Damp Proof Membrane) must be applied. 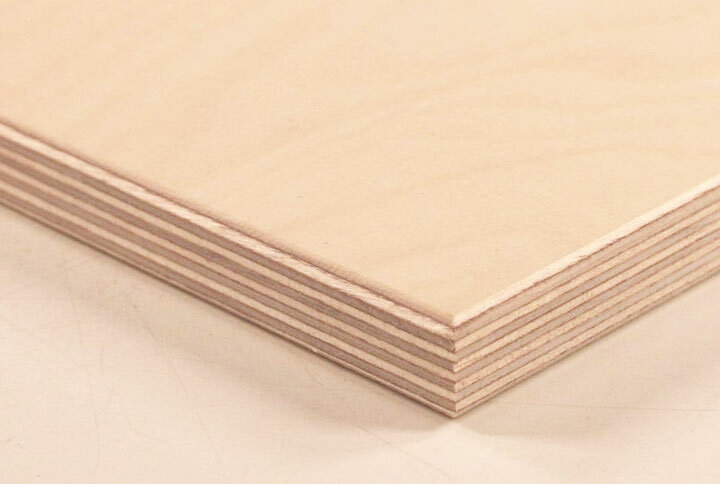 If the sub floor is an uneven timber floor it can be levelled by screwing plywood down over the top. The wood floor can then be Glued Down or Nailed Down over the plywood. 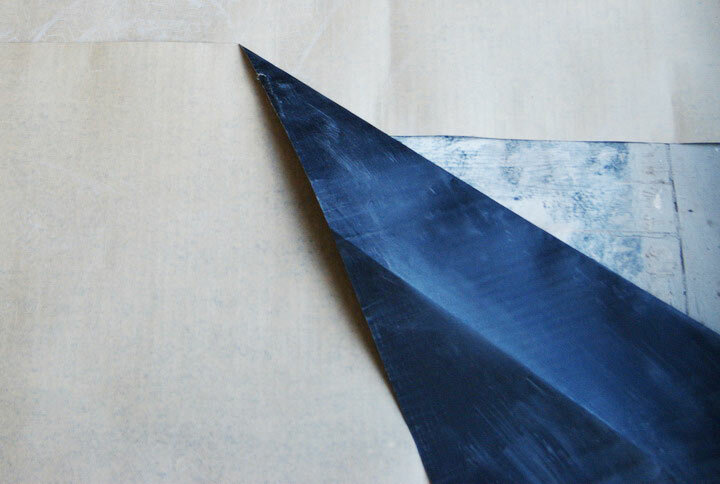 If A DPM is required to prevent Costly Damage this waxy bitumen paper can be used bellow the ply wood or above if using the Nail Down flooring installation.